The time has come at last, for me to lay down spear and shield and move on to fresh meadows, far from the sun-blasted hills of Greece. It’s taken me 165 hours, but I’m finally done with Assassin’s Creed Odyssey. 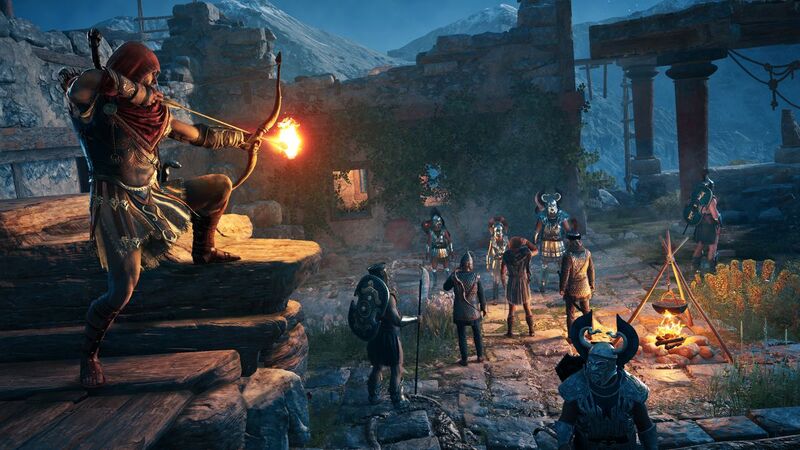 Ubisoft’s ancient Greek adventure has captivated me since its launch, five months ago. I’ve roamed its enormous map, completed its convoluted story, 100-percented its missions, and slain its biggest bosses. The release of its final DLC story, this week, marks not merely the tale’s end, but the final dwindling of my own interest in the game. I’m bored of it. After nearly a full week of total play, I’m oddly grateful for the spell to be broken. Bloodline — the third part of a post-release narrative about love and vengeance, out this week — fails to reignite my passion for the game. If anything, it highlights the reasons for my decreasing desire to play. First, there’s the story itself, which suffers from a plain case of narrative exhaustion. 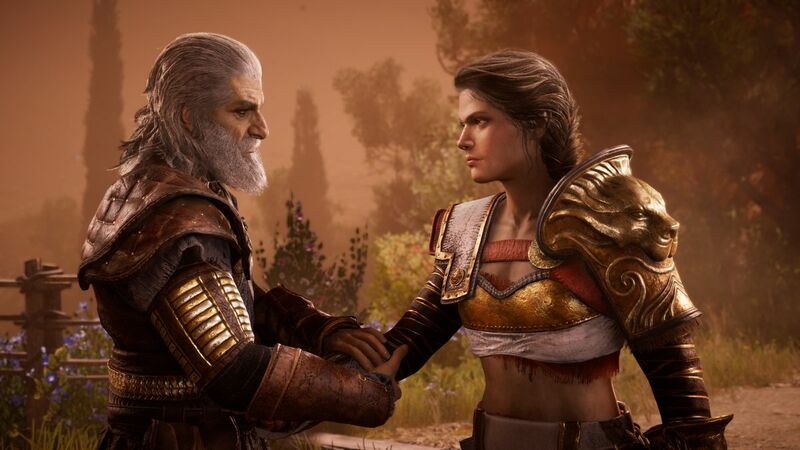 When we left Kassandra (or her male counterpart Alexios) at the end of part two, she’d been entirely betrayed by Ubisoft, saddled with a cozy little family, and a dweeb of a husband. Not for nothing, fans were outraged. As expected, part three begins with things going awry, when Kassandra’s enemies launch a murderous attack on her family. It’s not a good sign, when the best thing about a story is the departure of a key character. Her husband’s death is supposed to elicit sympathy. But the only thing I feel is relief. I’m sorry to say that Kassandra’s fella is the most wet napkin of a video game NPC I’ve ever come across. Kassandra’s grief is difficult for me to swallow, given that I do not believe for a single second that she would ever fall for this fool. More convincing is her unholy rage at her baby’s kidnappers, The Order. When she says she’s going to crush every last one of them, I know she’s not goofing around. At this point, the story really begins. I want to stress here that these Assassin’s Creed Odyssey’s activities have kept me amused for 165 hours. It’s only now that they feel tired and worn-out though long usage. My point is that all single-player, open-world narrative adventures run their course, and this one has run a much longer course than most. It’s a remarkable achievement in terms of gameplay design, world-building, and storytelling. But Bloodline is nothing more than a marker for the limitations of this game and the notion that a AAA game in 2019 must be so totally all-consuming. The best thing that can be said of it, is that its writers make an admirable attempt to justify The Order’s activities. I’m always interested in why antagonists do the things that they do, something that games rarely address in a convincing fashion. Odyssey’s evil characters tell us that they work for the best of motives, larding their justifications in the most reasonable language. But it all falls a bit flat, because their noble cause is thinly veiled fascism, held up as an affront to Kassandra’s own quest for messy democratic ideals. In the end Kassandra is lost to the mists of time. Her legacy is to provide the matriarchal line to subsequent assassins. There is no reference to her living on for a few millennia, as seen in the game’s nonsensical sci-fi story. So as I take ship for new adventures, for other fictional landscapes, I wave her farewell, this best of player-characters, this paragon of murderous, fire-breathing violence. I shall miss Kassandra. I shall miss this beautiful world of emerald hills, azure seas, and sparkling cities. I hope the next Assassin’s Creed gives me as much joy as this one. 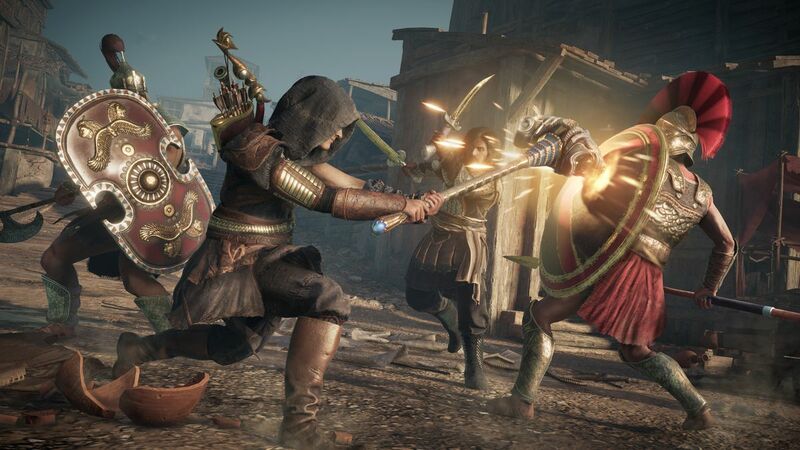 Assassin’s Creed Odyssey - Bloodline is now available on PlayStation 4, Windows PC, and Xbox One. The game was reviewed on PS4 using a final “retail” download code provided by Ubisoft. You can find additional information about Polygon’s ethics policy here.